April 2, 2018 – April is celebrated nationwide as Donate Life Month. Katelyn Strube-Bohaty’s friends, family members, and likely half of the residents of Claflin, Kansas, will be promoting organ donor awareness throughout the month as a way to thank the registered organ donor’s family who selflessly donated the lungs that saved Katelyn’s life nearly two years ago. Katelyn Strube was born in June 1990 and literally since she came into the world, she has had to fight to live. At three months of age, tiny Baby Katelyn was diagnosed with Cystic Fibrosis (CF). She spent the first five months of her life in the neonatal intensive care unit and endured numerous surgeries. Eleven months after her birth, Katelyn’s sister, Kelsey, was born and also diagnosed with CF. Growing up with CF was challenging, but perhaps it seemed a little more manageable when the special procedures, tube feedings, numerous doctor visits, IV antibiotics and multiple medications were something the Strube sisters had in common. Amazingly Katelyn and Kelsey maintained a somewhat normal and active lifestyle throughout their childhoods. Katelyn played tennis and was a high school cheerleader. She graduated from high school in 2008 and went on to attend the University of Kansas in Lawrence where she studied business marketing. The entire Strube family, including Kelsey and two step-siblings Mollie and Evan, had a very hard time grasping the enormity of a double lung transplant. During these days of Katelyn’s declining health, her lung function further dropped to 19% and everyone in the family was trying to keep weight on her small body. She was left with no choice but to tote around an oxygen tank everywhere she went. However, she always did so with grace and integrity. Despite her dying lungs, Katelyn never let her failing health stop her from being optimistic and energetic. It was likely these qualities that drew a very special young man named Brent to want to get to know Katelyn better when they first met in 2011 at the University of Kansas. Katelyn was officially listed for transplant in November 2015. According to sister Mollie, “It was hard for us all, but especially Katelyn, to wake up every day knowing she was living on limited time but also waiting for a tragedy to happen. Someone would have to die for Katelyn to get her life-saving gift.” It was during these days of waiting that sister Kelsey reached out to the Children’s Organ Transplant Association (COTA) to learn more about fundraising for transplant-related expenses. COTA uniquely understands that families who care for a child or young adult before, during and after a life-saving transplant have enough to deal with, so COTA’s model shifts the responsibility for fundraising to a community team of trained volunteers. COTA is a 501(c)3 charity so all contributions are tax deductible to the fullest extent of the law, and these COTA funds are available for the patient’s lifetime. Katelyn received a call for possible new lungs the day after Thanksgiving that year but they did not work out. The family continued to live on hope … hope that a perfect set of lungs would come for Katelyn … each and every day. On April 24th, a COTA representative flew to the family’s Kansas hometown and provided fundraising guidance and support to a group of Katelyn’s family and friends. The COTA in honor of Katelyn S fundraising effort took off quickly. And on April 28, 2016, the call that so many had been hoping and waiting for came. A perfectly matched set of lungs had been donated. With her siblings quickly hitting the road out of Kansas to get to Dallas in time to see Katelyn before she was prepped for surgery, the entire day became somewhat a blur for this COTA family. According to Mollie, Katelyn was by far the most calm of all and was truly at peace with the journey she was about to take. Katelyn was in surgery nearly 11 hours. “We were all blessed to see her strength and her will to make the most of this precious gift from the moment she was taken off sedation,” Mollie said. 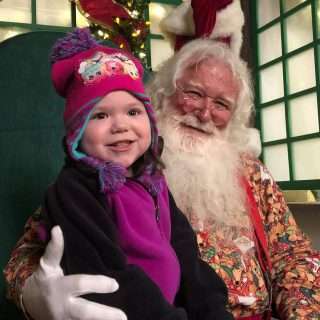 Katelyn was up and moving within two days of her transplant, and she was ready to take on the world 12 days after surgery when she was discharged with an array of feeding tubes, home IVs and a large assortment of medications. Mollie wrote these incredible words about Katelyn’s post-transplant days: We all worked together to conquer the hard days after discharge because we were all so grateful she was still with us. Katelyn is the bravest person we know and she is constantly inspiring us. We get to witness and watch her dedication to taking care of these ‘new’ lungs, constantly making sure she is honoring the heroic gift of her donor every single day. She has hundreds of followers she has inspired with her progress. What once was a girl exhausted from working so hard to breathe is now a young woman who will not sit down as evidenced by the miles of walking she now does each day. The family constantly updated their ‘Striding with the Strubes’ social media effort throughout Katelyn’s pre-transplant and post-transplant journey. Many of the posts featured friends and family members back in Kansas who were diligently and creatively raising funds for COTA in honor of Katelyn. In a very short time, these dedicated COTA volunteers raised nearly $80,000 for transplant-related expenses. Just like a beloved fairy tale, this story has a Beautiful Princess who marries her Prince Charming in an idyllic setting. 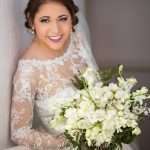 On March 18, 2017, Katelyn married Brent in what has been described as the wedding of her dreams. 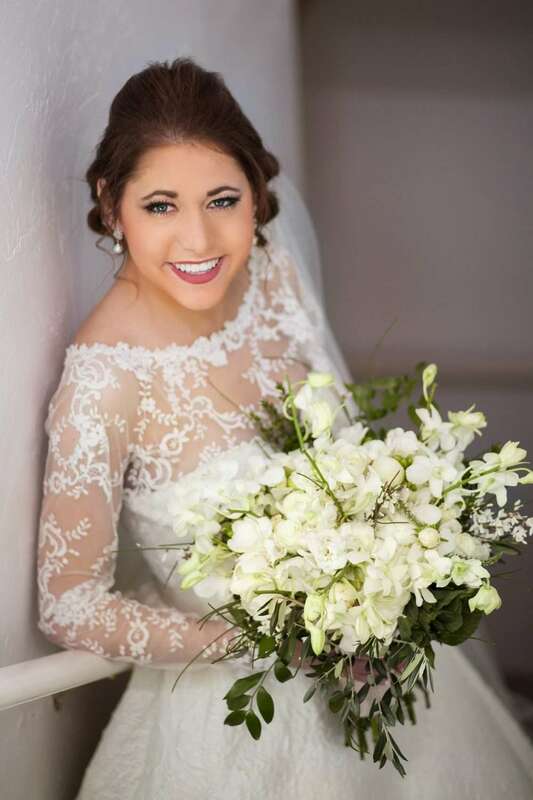 Mollie says that in addition to the gift of her new lungs, the gift of this wedding was something they all prayed for throughout Katelyn’s transplant journey. Katelyn and Brent have now moved back to Kansas and are starting an exciting new chapter that is full of love and hope. “The genuine, caring and giving individuals who work and volunteer for the Children’s Organ Transplant Association (COTA) allowed me and my family to trust this organization during what would become the toughest year of our lives. COTA gave us hope by providing guidance and support in so many ways, including assisting with transplant-related expenses that mounted throughout my journey to get new lungs, and a second chance at life,” Katelyn explained. When asked what her hope for the future is as her story continues to unfold, Katelyn eloquently wrote: I, Katelyn, always told myself there were far better things ahead for me than the ones I left behind. I live facing forward and not looking back. I know my life is not, and will never be, perfect. Because of living with CF and being a transplant recipient, I will continue to fight for my life every day, but I won’t let it stop me from enjoying it in the meantime. I must live each day with courage and bravery, knowing each second, each moment, and each day that I am alive is a gift. I look forward to a happy future with the love of my life by my side and my family and friends always putting a smile on my face. I hope one day someone will call me Mom. Nationwide, April is the month that is dedicated to raising awareness about the need for registered organ donors. Many COTA families are waiting for the life-saving call Katelyn and her family received. Please go to donatelife.net and register to be an organ donor in your state. Every day 20 people die waiting for an organ transplant here in the United States. One organ donor can save eight lives.